Toastmasters Speeches: The Touching Story-Sample Speech, "You're Still You"
Good Evening! (quick pause, "wait" gesture) I have with me here a one dollar bill. It’s real, it’s not fake and my question is: who wants it? Any takers? (gauge the audience response) (If no takers, joke that they probably make too much and then ask if a street child will want it) Alright, we have many takers. Now, let me do this. (crumple the bill and then uncrumple it again, showing it neatly) Now, anybody wants it? Alright, we now have a few takers. Now, this time let me do this. (Crumple the bill, throw it on the ground and stomp on it 3 times) Okay, now, who wants it? Okay, we still have a few who want it. Because it is STILL the same. Its value has NOT changed. Now think about that for a little while. Its VALUE has NOT changed. In January of this year, one night, just right after dinner, my wife Irene and I talked about – oh about the day’s happenings as we usually did. And we talked about pretty much the general stuff that happened at each one’s office. But that night, I felt a little different. Now if you’ve been married as long as I have been married, you’re more attuned to the feelings of your spouse. Some folks say that if you’ve been married long enough, you could easily know how the other person feels even without them uttering a word. Have you heard of that? You could see it in their eyes, in their expressions and in their demeanor. Well that night, I felt the somber solemnity in Irene’s voice as she spoke about her performance appraisal that was given by her lady boss. 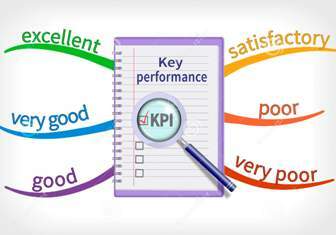 Now we know what performance appraisals or reviews are, right? Most probably you guys have those here also, like once a year or twice a year, right? There may be some grades or ratings given out, like for a range of 1 to 10 you get a 7, maybe. We, as employees, all go through those sessions. And it’s one of those things where sometimes you feel lucky and sometimes feel unlucky. Sometimes you’re here, sometimes you’re there. (down, up). (long pause) But this time, she said, she was rated WAY down there. So I asked her why she thinks she was rated so badly by her lady boss. 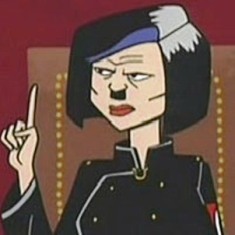 Well, without going to specifics, she described her boss as a modern-day Lady Hitler. The lady boss was the kind who’d expect you to be around in the office if she’s still in the office. That means if you go home ahead of her, she marks you down. She’s the kind who expects you to be glued to your phone at home during weekends so you’re easily accessible. And she’s the kind who expects you to buy your own cellphone and your own prepaid cards so you’re always at her beck and call at any time of the day. Does that remind you of somebody? Is that normal or is that even acceptable? Well, maybe for some cultures or some offices, it is. But for Irene, the rating she received for not meeting those expectations was grossly unfair. It wasn’t something that she was expecting at the very least. I know she’s been with her company in good service for 25 long years and this by far has been the lowest rating she ever received. I’ve always known her to be a strong-willed woman, but this time I was hurting as I heard a distinct quiver in her voice. But what can I say? (long pause) I did say “This will all pass. She won’t be your boss forever.” It was easy to say but that somehow didn’t reassure or alleviate the tears welling up in her eyes. Because her situation was about the present. Her boss was STILL her boss who she meets and deals with everyday. (long pause) So, after much thinking, I finally said, “You know, if the reason you come home early is so that you could bring our sick child to the doctor, then don’t worry too much about that rating. If the reason you cannot answer your boss’s calls during weekends is because you’re attending the PTA meetings or our daughter’s Piano Recital, then I don’t care that your boss marked you down unfairly. To us - your family - you’re still you, you’re number one and we’ll still give you an Excellent rating every time. After hearing that, Irene felt much better for it validated her role as a mother in the family which to her always came first - family first. 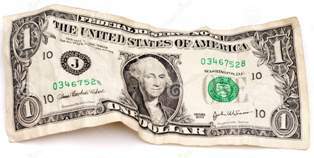 Your value has not changed (pause and get paper bill)... much like... this paper bill.